Estelle continued, 'I spent most of my life in teaching and latterly learnt a little bit more about the creative arts. I really do think that Earlyarts brings those two things together for a group of people for whom it's most important - those under five year olds. I'm one of the strongest Advocates of children's learning which strives to reach the highest quality." Earlyarts' Director, Ruth Churchill Dower said, "Estelle has long been an inspiration and mentor to me personally. Having her on board as patron is hugely significant for us. With a career in education and politics, Estelle is exceptionally well-placed to act as advisor and figurehead to Earlyarts as we move into a new and exciting phase of growth." 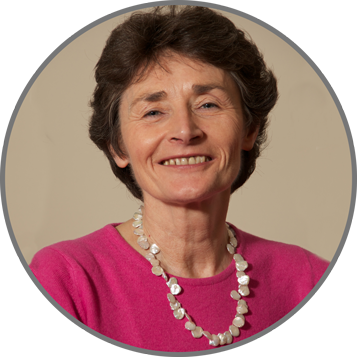 Estelle Morris worked as a teacher in Coventry before being elected to Parliament in 1992 as an MP for Birmingham Yardley. She was promoted to Secretary of State for Education and Skills in 2001, and, in 2002, became Minister for the Arts in the Department for Culture, Media and Sport. Estelle stepped down from the government, and was made a life peer in May 2005. Since then Estelle has held a range of roles, including chair of the Children’s Workforce Development Council, president of the National Children’s Bureau, and chair of Northern Education. In 2012, Estelle was commissioned to undertake a review of Arts Council England’s 10 year strategic framework in preparation for taking on responsibilities for Libraries, Museums and Archives. Read articles and speeches by Baroness Morris of Yardley on the Guardian, Wikipedia, and They Work For You, and watch Estelle Morris in an inspiring Earlyarts interview with Ruth Churchill Dower. Sir Ken Robinson has worked with governments in Europe, Asia and the USA, with international agencies, Fortune 500 companies, and some of the world’s leading cultural organisations. In 1998, he led a national commission on creativity, education and the economy for the UK Government. All Our Futures: Creativity, Culture and Education (The Robinson Report) was published to wide acclaim in 1999. In 2003, he received a knighthood for his services to the arts. He speaks to audiences throughout the world on the creative challenges facing business and education in the new global economies. The videos of his famous 2006 and 2010 talks to the prestigious TED Conference have been seen by 200 million people in over 150 countries. His book The Element: How Finding Your Passion Changes Everything (Penguin/Viking 2009) is a New York Times bestseller and has been translated into 21 languages. His latest book is a 10th anniversary edition of his classic work on creativity and innovation, Out of Our Minds: Learning to be Creative (Capstone/Wiley). Find out more about Sir Ken Robinson on his website , hear him speak about passion, or watch Ken Robinson's Earlyarts UnConference address.